Oregon Sea Grant has won a Silver Award of Distinction in the 2016 Communicator Awards competition, for its field guide Key Aquatic Invasive Species Watch: Japanese Tsunami Marine Debris in the Eastern Pacific. You can download a free PDF or order printed copies of Key Aquatic Invasive Species Watch here. 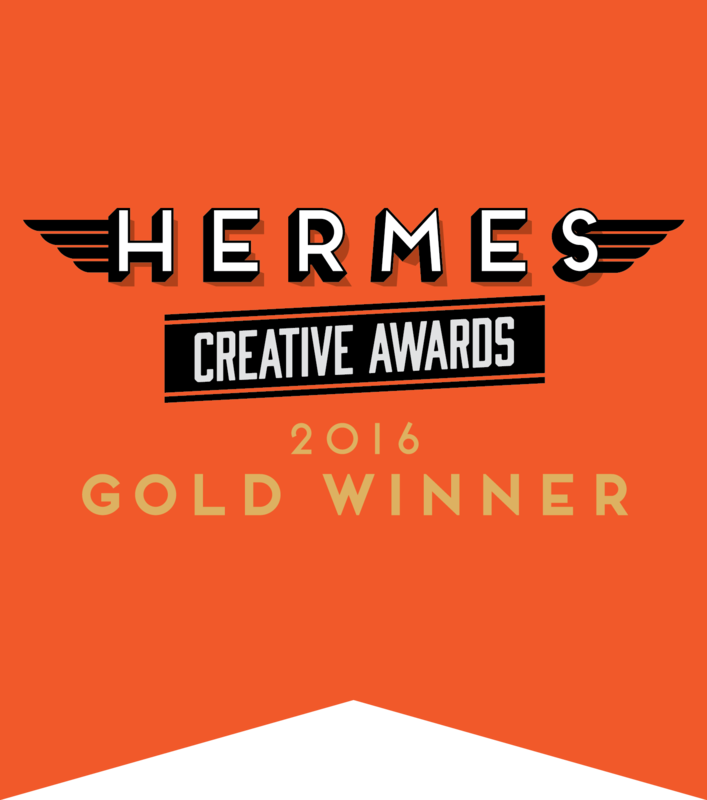 Hermes estimates there were “about 6,000 entries from throughout the United States and many other countries” in this year’s awards competition. Key Aquatic Invasive Species Watch is available here. Oregon Sea Grant has won two Silver Awards of Distinction in the 18th Annual Communicator Awards competition, one each for its “Aquatic Animal Health” brochure and its Cascade Head Scenic Research Area video. 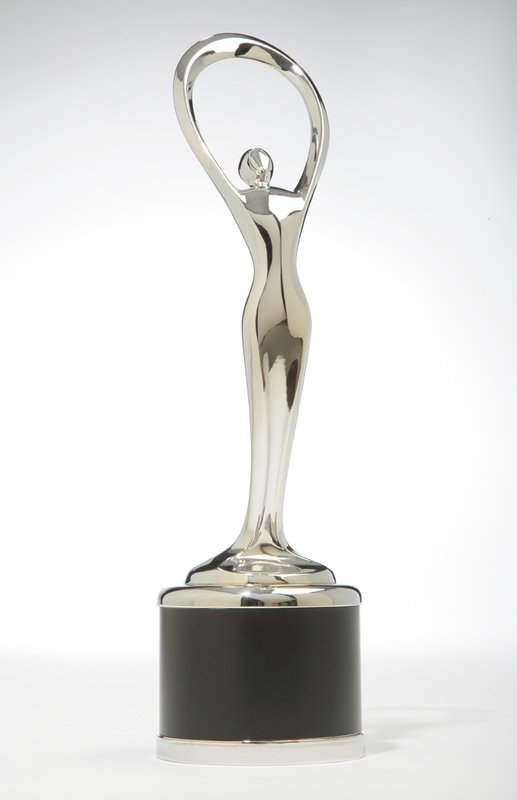 The Communicator Awards are judged and overseen by the International Academy of the Visual Arts (IAVA), a 550+ member organization of professionals from various disciplines of the visual arts. See www.iavisarts.org for more information. 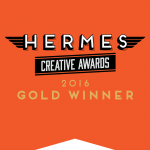 This year’s Communicator Awards received more than 6,000 entries from companies and agencies of all sizes, making it one of the largest awards of its kind in the world. Visit www.communicatorawards.com for more information. NEWPORT – If you love whales, enjoy meeting people and don’t mind spending some time outdoors on a blustery winter day, Oregon’s winter Whale Watch Week wants you. Volunteers are being sought for training as interpreters and whale-spotting guides at state parks up and down the Oregon coast for the annual event, which takes place this year from Dec. 26 through Jan. 1. Gray whales can be seen off the Oregon coast year-round, but their numbers peak during their twice-yearly migrations between feeding grounds in Alaska’s Bering Sea and calving lagoons in Baja California. The full round trip is more than 10,000 miles (16,000 km), the longest known migration for any mammal. During the peak of the southward migration each winter, as many as 30 whales an hour can be seen off coastal headlands and viewing areas. 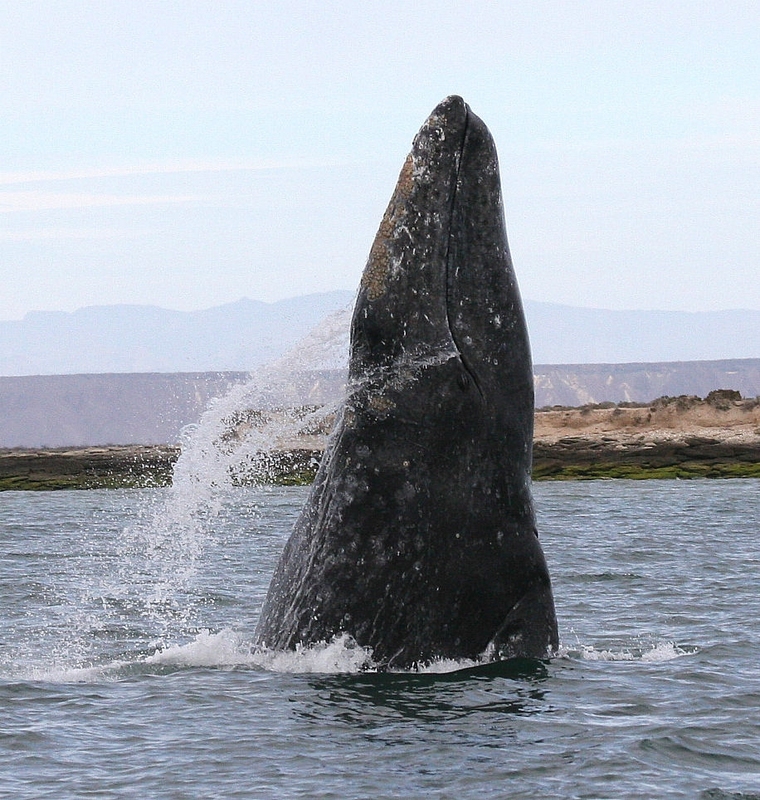 Gray whales can grow to 40 feet long and 70,000 pounds, and their migrations often bring them close enough to the coast to be spotted by the naked eye, if you know what to look for. Whale Watch Weeks, started in the late 1970s by Oregon Sea Grant educators at the OSU Hatfield Marine Science Center, has grown to a twice-yearly program administered by Oregon State Parks from its Whale Watching Center in Depoe Bay. During the winter and spring weeks, as many as 450 trained volunteers take turns at two dozen of the most popular coastal whale-watch sites, helping visitors spot whales and teaching them about the lives and habits of these giant marine mammals. Volunteer training for Winter Whale Watch Week will take place on Sat., Dec. 10 at the HMSC Visitor Center in Newport. Dr. Bruce Mate, OSU marine mammal specialist, will preside. Additional training sessions for Spring Whale Watch Week will take place in January and February. Learn more and sign up for volunteer training at WhaleSpoken.org, the Oregon State Parks whale-watching site. “Three Things You Need to Know About Tsunamis,” a new, easy-to-use brochure designed for Oregon coast residents and visitors, is available online from Oregon Sea Grant. Marine scientists say the Oregon Coast is overdue for the sort of high-magnitude earthquake and ensuing tsunami that struck Japan in March. Even if “the Big One” doesn’t strike, many coastal areas are vulnerable to tsunamis generated by distant quakes in other parts of the Pacific Rim. Corcoran, based in Astoria, works with coastal communities and state and federal agencies to increase public awareness of the risks, and make people better prepared to deal with disaster when it strikes. Designed by Sea Grant artist Patricia Andersson, the new brochure is intended for wide distribution. Coastal families can use them, along with maps of local evacuation routes, to develop their own tsunami preparedness and evacuation plans. Motels, visitor attractions and other coastal businesses can make them available to visitors. And local emergency preparedness groups can use them as guides for community presentations. The brochure is available for free download from Oregon Sea Grant, both as a full-color, printable .pdf and in an accessible plain-text version. What’s fresh on the Oregon coast? 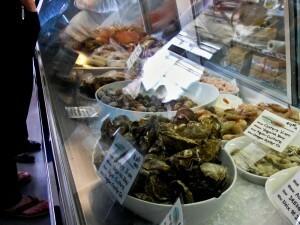 Wondering what seafood will be in season when you visit the Oregon coast? 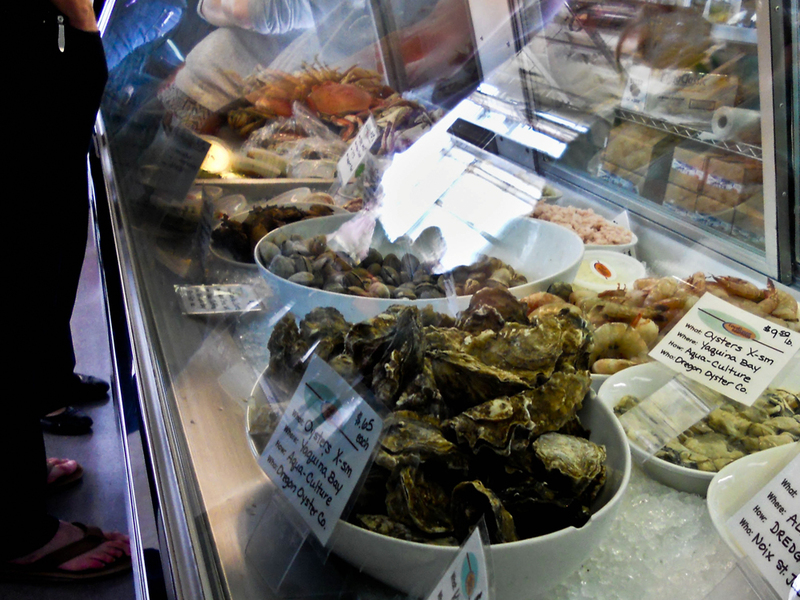 Oregon Sea Grant’s Kaety Hildenbrand has compiled a handy, one-page guide to local seafood availability for 2011, based on harvest estimates and commercial seasons set by fisheries regulators. Right now, for instance, you should be able to find fresh, locally caught Chinook salmon, Dungeness crab and pink shrimp, as well as flounder, sole, rockfish and lingcod (generally available year-round). June should bring the appearance of albacore tuna and, late in the month, Pacific halibut, depending on when the fish make their appearance. Fresh, locally caught seafood is available in markets and restaurants up and down the coast, and direct from the fishermen in many coastal ports. A family trip to the docks with an ice-filled cooler can be a great way to learn more about where your dinner comes from, how it’s harvested and the people who catch it. The guide, “What’s Fresh and When in 2011” is ready to download and print, and suitable for hanging on the refrigerator door or tucking in the glove compartment for your next trip to the coast. Download it here in .pdf format. Hildenbrand is Sea Grant’s Extension marine fisheries educator, based in Newport, where she engages the fishing community and general public on issues ranging from fisheries management to marine energy and multiple ocean uses.